A gift idea for the lover of coffee! Today's idea is something that is easy and inexpensive for you to make for your favorite coffee lover. Yes, you can be your own favorite, I won't tell. I am always looking for unique gift ideas that are easy to create and something that might appeal to lots of people. These fun coffee signs fit that criteria. I started with some unfinished wood pieces. On these I free handed the writing, using chalk until I got the look and spacing I wanted. Remember, you can use stencils or my transfer method found HERE. I then painted the lettering with craft acrylic paints and interior latex paint in a satin finish. The mugs were also obviously hand drawn. Not perfect, just as I like it! I added the white in the cups after painting the whole thing and letting it dry. After the white was dry, I painted the coffee and steam. Hooks added to the COFFEE sign are perfect for mugs or kitchen towels and aprons. Some D rings on the back of the cup hook sign and picture hanging wire assure that these will hng securely on the wall. 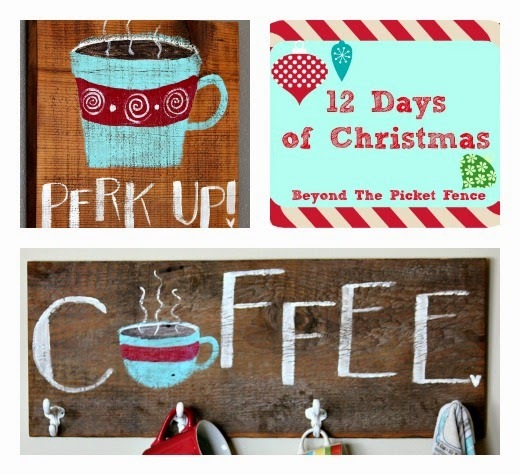 How fun would it be to give a hand painted sign, a big colorful mug, and a bag of your favorite coffee beans to someone this Christmas?! 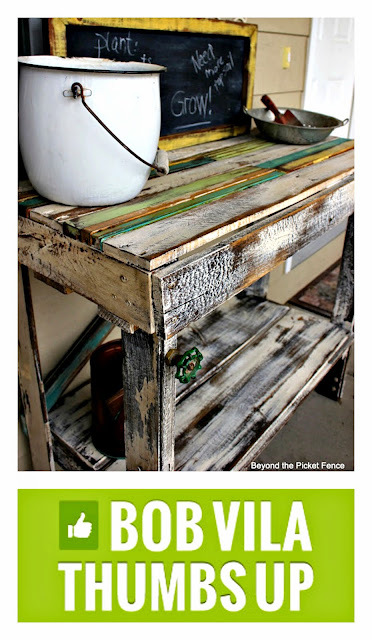 Have you voted for my pallet potting bench today? Thank you! If not, it only takes a few seconds, you don't have to sign up or sign in to anything. I really appreciate it! Love this! It would make a great gift, if you could part with it! These are great and look like something even I could do, Thanks. Love, Love, Love these! The colors are awesome! 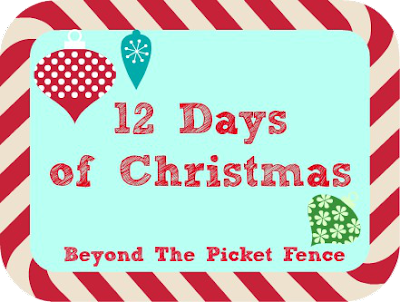 I have voted for your pallet project everyday! I love the colors you choose for your projects-great coffee sign! Love them both, Becky! The colors are great! Those are so cute! Love the hooks to hang mugs. This one makes my heart go pitter patter! Love it! Pinning and hoping one of my daughters might make it for me...lol. Those are beautiful! The one with the hooks would be so perfect for a small kitchen, too! Love this so much!